cells to extract enzymes and DNA, prepare vaccines. intermittently through a cylindrical reactor. Emulsification – processing foods, pharmaceuticals, and cosmetics. Dissolution – dissolving solids in solvents. 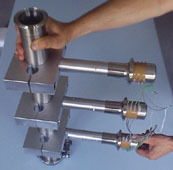 Degassing – removing gases from solutions without heat or vacuum. scale or build/up without disassembly. Cylindrical 360° internally radiating chamber. internal or external material treatment. powered by one or more MMM generators. Flexible system designs for any length of pipe. (e.g. 25mm to 150 mm). Will drive most any pipe thickness (e.g. 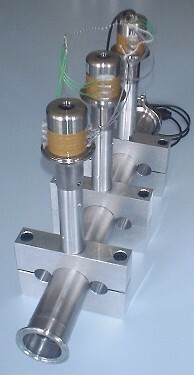 1mm to 30mm) at high power. joints allows easy internal cleaning and sterilization. treatment of liquid materials or chemicals.